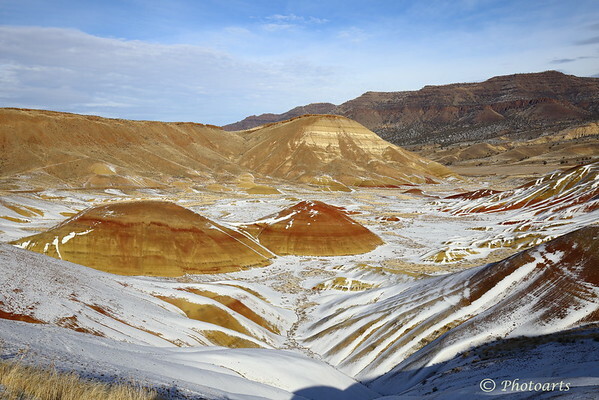 Beautiful colors of Oregon's Painted Hills National Monument are further enhanced by the light dusting of snow on this crisp winter day's light inspiring a conversation with the big guy himself! Indeed this is the Lord's work at his best. Beautiful shot! Amazingly interesting, there is just so much there to admire !! Fine capture ! Excellent capture, what a fantastic view!